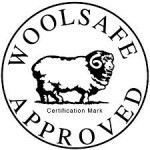 WOOLSAFE Approved Spot Cleaning Tips – The Connoisseur Carpet Cleaning blog. Here are some great videos of WOOLSAFE approved emergency cleaning tips. For our customers who have had FiberproTector applied to their wool rugs and carpets you’ll notice that spot cleaning will be even easier than in these videos. Most of the time simple blotting of the spill will be enough. Connoisseur is happy to supply you with a neutral pH rinse free product for spotting your natural fibers at no charge.